That seems to be how things go here, with me. I blog a lot for a while, then one day I forget, and a month goes by with no posts. OK, then. What have I been up to? Lots of time off work, after saving most of my vacation for the end of the year. Dividing time between recreation (beach trips, mountain trips for snowshoeing, video games), a little bit of effort designing CD covers, lots of writing time, and a fair amount of reading. I’ve been reading Elizabeth Hand’s collection Saffron and Brimstone, which is completely fantastic so far — poetic, moving and yet fanciful. At the same time, I’m reading Joseph S. Pulver’s Blood Will Have Its Season, a completely singular story collection, stylistically wild, with as much energy and “juice” as anything I’ve read in a long time. Reading Pulver’s story is like biting down on a live electric line… zzzzt! Both these collections are inspiring, and both have things to teach, though in completely different ways. It’s great to discover new (to me) writers like this, who do what they do so well, whose styles are so personal, even idiosyncratic at times. For some reason, I’ve never read story collections the way you’d read a novel — straight through to the end. My preferred way to read them is one story at a time, preferable in a single sitting, and moving between books as the mood suits me, the way you might sit down to listen to music and play Metallica when I’m in that mood, then transition to Lustmord, then Brian Eno or Robert Rich, taking in a whole series of moods or flavors. Reading someone like Pulver in particular can be such a strong jolt, I’m not sure I could read this thing all the way through without a break. Sort of like living on nothing but tequila and jalapeno poppers for a week… yikes! In short bursts, though it’s tremendously inspiring to read this kind of feverish, all-out, slightly deranged writing. Even reading a few pages of this makes me want to jump up and write something. Pulver just released a new story collection this month, and I’ll have to order that soon. Hand’s book, on the other… erm… hand, is made up of much longer pieces (50+ pages, some of them), so it reads a bit more like a novel. Still, I enjoy taking this in piece by piece, with breaks in between. I love the realistic, literary quality of her storytelling. When fantastic elements arise, their impact is that much stronger because they seem to be intruding upon a life something like our own. Almost a polar opposite to Pulver’s work, Hand’s is restrained, delicately understated. I discovered her work in the “Poe’s Children” anthology edited by Peter Straub, which includes the story “Cleopatra Brimstone” which is also in Saffron and Brimstone. 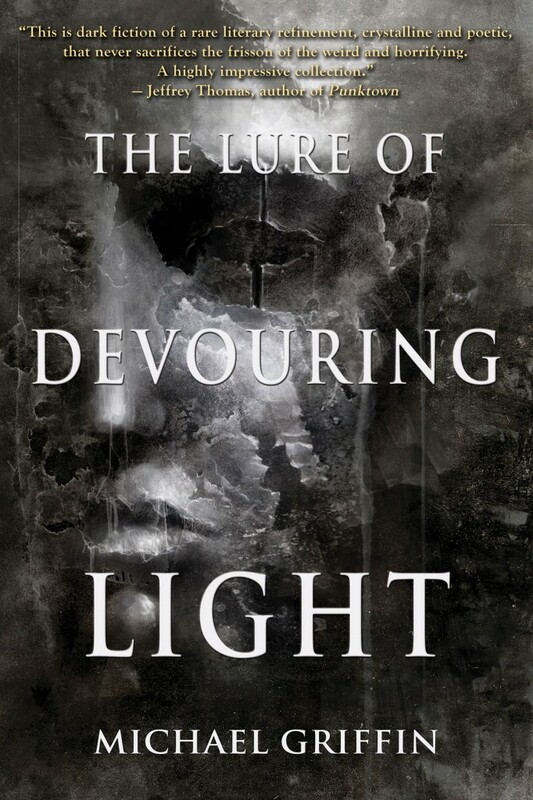 That piece is one of the most impressive pieces of literary dark fantasy (Straub calls it “horror” but I’m not quite sure) I’ve read recently, and she’s another writer I’ll definitely want to investigate. Her novel Generation Loss just arrived here, and that sounds fantastic. I’ll try not to wander too far off, or forget again about this place. I’m always doing this. Another inspirational running-related quote.